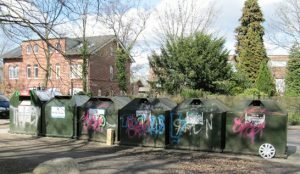 Key parameters for waste collection systems defined! 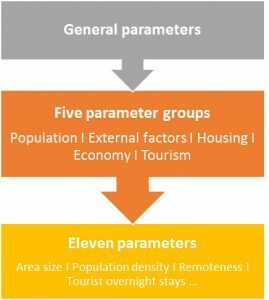 Home / Key parameters for waste collection systems defined! The first task of the COLLECTORS project was to “define a key parameter set for waste collection systems” which would be suitable for describing and assessing key elements of waste collection systems, identifying local and regional practices which have the potential to serve as good practice examples and preparing an inventory of waste collection systems to support decision-makers in shifting to better-performing collection system. Development of a literature database for the parameter identification and selection – in a first step, over 300 information sources including information on waste collection systems were identified and compiled in a database. 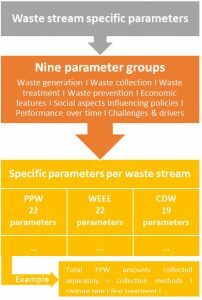 In particular, material and literature describing the context of waste collection systems were considered for the database, describing main features of waste collection systems alongside the waste management chain, and describing specific collection systems for the three waste streams in focus (P&PW, WEEE, CDW). Identification and categorisation of parameters – in a second step, an extensive screening of literature as compiled in the database was performed to identify and categorise relevant parameters. In this step, BiPRO developed parameter groups, names, and descriptions. In addition to the evaluation of literature, an internal consultation of project partners on important parameters was performed to ensure that data needs and priorities of different Work Packages are well aligned from the beginning of the project. This process resulted in a new database file, including a long list of potentially interesting parameters. Pre-assessment of identified parameters – in a next step, the full list of identified parameters was pre-assessed based on the five basic principles as defined by Keeney and Raiffa: completeness, operational ability, decomposability, non-redundancy, and minimalism. The main purpose of the pre-assessment was to obtain a reasonable set of parameters that are needed to achieve the project’s objectives. This process of parameter reduction resulted in a draft set of relevant general parameters and waste-stream-specific parameters. 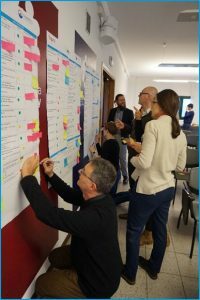 The draft set was then discussed in detail with the General Assembly, Regional Working Group and the expert panel during the first project meeting in Treviso (20-22 March 2018). Guidelines for implementation and policy development (WP 4). Since not all parameters are equally relevant for all Work Packages and the required level of detail for investigating certain parameters and parameter groups varies, selected key parameters were allocated to different Work Packages in a last step.